On Monday 8 October 2018 at 12:30pm, Alistair Mackintosh (AM, Chief Executive Officer), Carmelo Mifsud (CM, Media Relations Manager), Katy Brecht (KB, Head of Ticketing), Mike McSweeney (MM, Chief Executive, Fulham Foundation) and Nicola Walworth (NW, Supporter Relations Manager) of Fulham Football Club met with Tom Greatrex, Ian Clarke, Dan Crawford, Sue Couch and Archie Rhind-Tutt of the Fulham Supporters’ Trust at Motspur Park as part of the ongoing structured dialogue between both parties. David Daly (a non-executive director of Fulham Football Club) sent his sincere apologies. 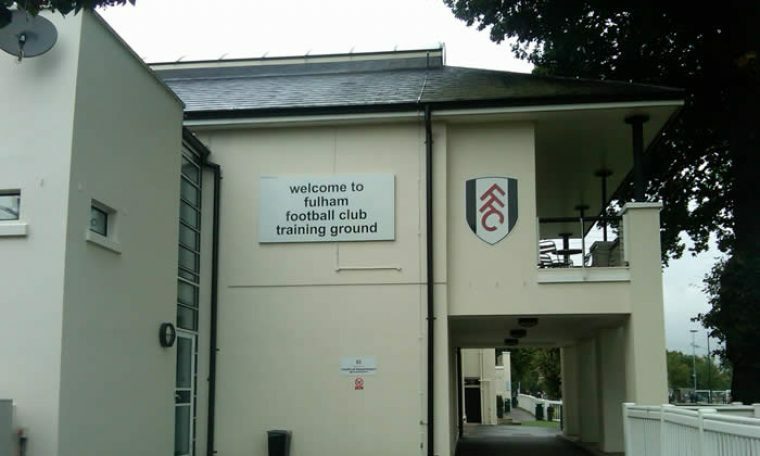 The Trust focussed this meeting on the two issues of key importance to Fulham supporters at the present time – the Riverside Stand and ticketing. The Trust asked for an update on the progress of the Riverside Stand redevelopment and highlighted our concern that with a lead contractor yet to be appointed the timescales may start to slip. AM confirmed that the Club were still out to tender for a lead contractor on the works and, while there was no winning bid yet, the Club were in advanced and detailed discussions with a final shortlist of potential contractors. The Trust pushed for an update on the timeline against that included in the London Borough Hammersmith & Fulham Council’s planning documentation. AM revealed that whilst the fine detail of that timeline was no longer relevant, the Club are still operating to their original timescale of a project start in May 2019. When asked how this would be possible without confirmation of a lead contractor AM disclosed that there is “a high probability” that a preferred contractor will be in place by the end of November 2018. The Trust asked for confirmation of the high level timeline. AM explained that the Club’s current plan is to begin work in May 2019 with the demolition of the existing Riverside Stand and for Craven Cottage to operate at a significantly reduced capacity for two seasons. The plan is for the new Riverside Stand to be ready for the 2021-22 season. He revealed that he is in constant touch with Shahid Khan over the progress of the plans and that the Club want a well-thought out scheme. He added that as the project is highly complex the club are using information provided by multiple bidders to constantly enhance the offers and plans. The Trust raised concerns that Shahid Khan’s proposed purchase of Wembley Stadium may have some bearing on decisions being taken in relation to the Riverside Stand. AM told the meeting that there is no consideration of Shahid Khan’s proposed purchase of Wembley Stadium in the Club’s current planning. Following up, the Trust asked whether bidders have made suggestions that the Riverside Stand build would be easier or cheaper if the Club moves out of Craven Cottage temporarily and, if so, whether these would be considered. AM revealed that bidders have stated that the project would be easier with full access to the site, but that the cost differential between the two options (staying during the build and moving out temporarily) was not great. The Trust set out our opposition to any prospect of Fulham playing anywhere other than Craven Cottage, even on a temporary basis, with representatives pointing to the organisation’s foundation as ‘Back to the Cottage’ and the history of the Club and the ground. The Trust further explained that were any consideration ever to be given by the club to a temporary relocation we would wish to see significant guarantees of a return. AM acknowledged this and pointed out that in the event of any temporary relocation ever being considered, a £100M plus contract would already have been signed and begun. AM reiterated that he firmly believed that the Riverside Stand will be built and committed to provide an update to the wider Fulham fanbase. The Trust expressed concern that current ticket prices are too high and could risk pricing out a generation of supporters, highlighting minimum adult prices for the home matches against Arsenal (£55) and Bournemouth (£45) as examples. AM said he understood but didn’t necessarily agree. He stated that Shahid Khan still subsidises the business to a considerable degree and, given the long-term objective of making the Club sustainable, revenue needs to be raised. Fulham are tasked with being “more commercial” and not less and AM revealed that the Club does not benchmark well commercially against comparative Premier League and Championship competitors. AM stated that he felt the Club had tried to successfully reward loyalty with a strong offer to season ticket holders last season, which realised a 99% renewal rate. The Trust representatives stated that there remained concern amongst Fulham supporters that, should season ticket prices continue to rise, many longstanding fans would not be able to renew. AM and KB confirmed that, as per previous discussions, the Club had not made any decisions about the price of next season’s season tickets. KB confirmed that a number of options were being considered to reward the loyalty of season ticket holders in next season’s pricing. KB and AM also revealed that the club do research other clubs’ prices and schemes. KB stated that the Club recognise that they can’t raise season-ticket prices to beyond this year’s early post play-off final level – and that they won’t seek to do so. As part of the discussion on matchday prices, AM revealed that the Club did not support the initiative for a £30 cap on away match tickets. MM pointed out that the Fulham Foundation run several successful schemes and reward participants, including local schoolchildren from some of the most deprived parts of London with free tickets. AM said he would be happy to receive further ideas from the Trust and Fulham fans with regards to ticket pricing. KB confirmed that the Club does have to build a detailed seat map of all away allocations into Ticketmaster’s system, including the location of sides, aisles and entry and exit points, before each fixture. This work usually takes around two days for the ticket office staff, but Ticketmaster’s system does not allow this information to be made public, so the option to pick your own seat is not possible. The Trust one again asked the club, in conjunction with other Premier League clubs, to continue to put pressure on Ticketmaster to make this facility available. The Trust put forward a number of other suggestions, including options offering supporters the choice of the front or the back of the stand. The Trust also highlighted the plans that other clubs have put in place this season around ‘non-standing’ areas (Watford) and seats at the front of the stand for supporters to move into (Cardiff). KB reiterated that the Club position is that all seats are for sitting only. However KB agreed to talk to Watford about their system to further understand their thinking. The Trust asked for more information to be made available online on the order of selling away blocks and rows and also the current status of sales. KB and AM agreed that the Club would make more information available. The Trust also asked if the Club could ascertain whether other Premier League clubs were experiencing similar problems. The Trust expressed members’ concern regarding the withdrawal of the ‘print at home’ ticketing option. KB revealed that this option was being regularly abused by large scale modification of bar codes and subsequent re-sale. Fulham want to retain control of ticket sales, so they have removed this option this season. KB and AM stated that many other Premier League clubs are also taking this position – and the Premier League has provided additional guidance on tout-prevention measures. The Trust pointed out widespread concern about the inability of season ticket holders to be able to upgrade concession season tickets for weekend games. KB and AM said that the Club’s previous upgrades policy was being abused by both touts and supporters. The Club felt that their compromise was to allow upgrades for evening fixtures, these being the fixtures that most genuine concession season ticket holders cannot attend. The Trust suggested that the Club could offer a couple of additional weekend games for upgrades as a further compromise. Following further discussion, AM agreed that the Club would consider this proposal. KB also confirmed that the Club had concluded that a ticket exchange scheme would be viable and they will be announcing details of this in due course. NW and KB said that the Club envisage that the ticket exchange would only operate for sold out fixtures. The Trust raised correspondence from the Arsenal Disabled Supporters’ Association about the sight lines for disabled supporters in the Putney End being disrupted by persistent standing during the recent fixture at Craven Cottage. AM and KB confirmed that the Club were in the final stages of removing a section of seats in P2 and P7 in order to install a new disabled supporters’ viewing area with greatly improved views of the pitch. This work will reduce the capacity by around 400 seats and the new disabled supporters’ section is due to be ready for the home against Southampton next month. The Trust passed on the thanks of supporters to the Club for the recent return of Clint Dempsey to Craven Cottage during the Watford home fixture and for making some of the match reaction content available to non-Fulham FC TV subscribers. The Trust representatives also relayed details of individual feedback on the matchday experience from our members to NW for her attention and response.